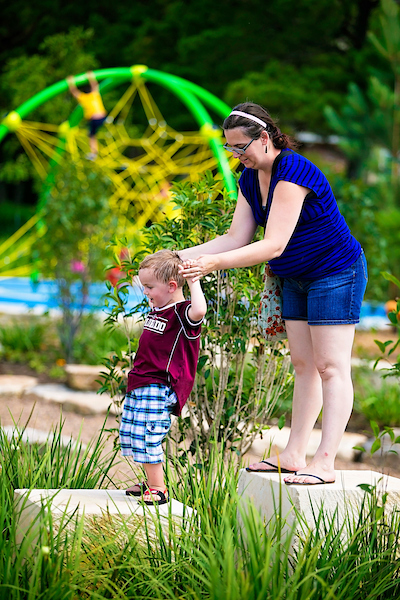 Exploration Park is an immersive public playground alongside the north side of Willow Fork Drainage District’s Diversion Channel, just south of Creech Elementary. 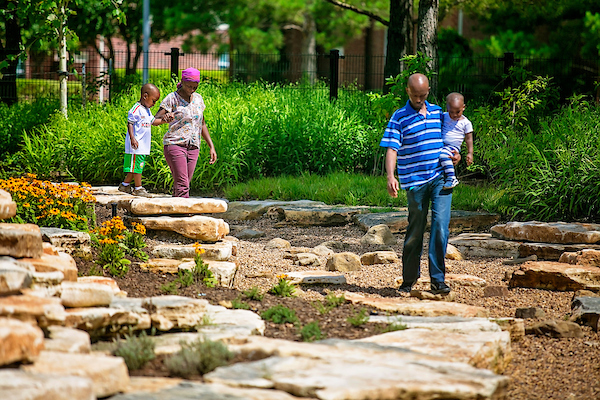 Opened in 2015, the park appeals to a wide range of ages and is unlike any other in the area. 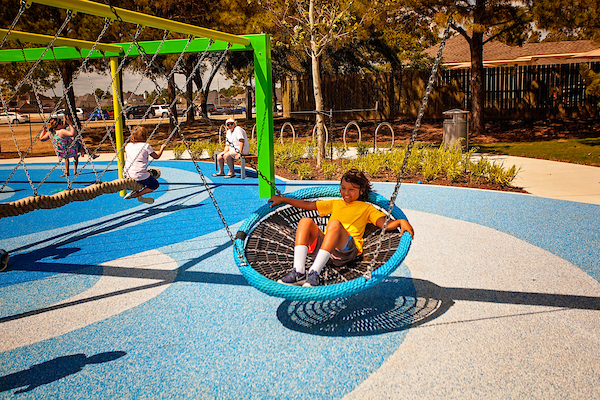 The design of Exploration Park is rooted in children’s play, environmental stewardship, educational principles, and an overall theme inspired by water. 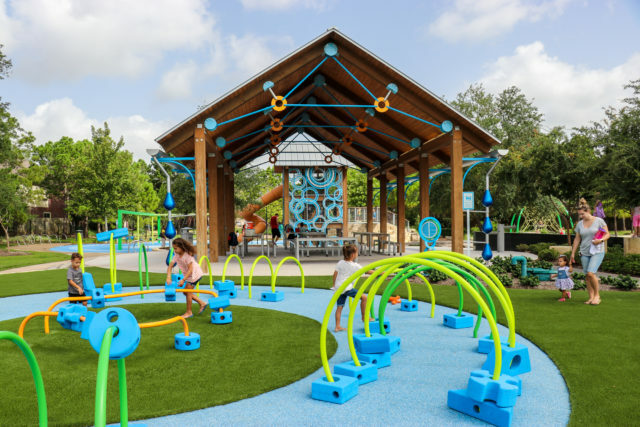 It offers visitors a multipurpose play area, an open lawn for unstructured play, and a covered pavilion with picnic tables. 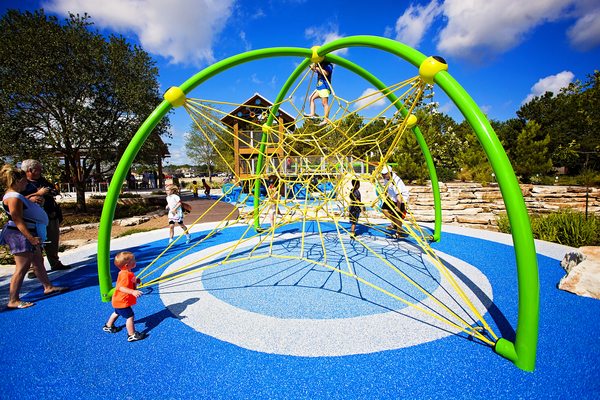 Play features include a sensory garden, swings, a musical bridge, a raindrop berm lawn, and a slide tower and bridge connecting to a hill slide. 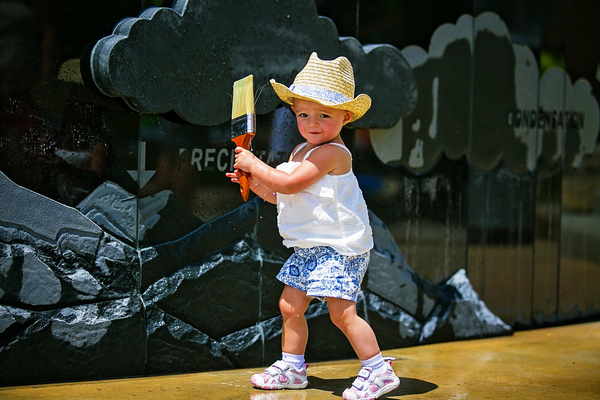 An interactive water cycle wall creates a hands-on experience that demonstrates the water cycle and educational signage encourages water conservation. Since opening, the District has added a parking lot adjacent to the Diversion Channel and is in the planning stages to add a restroom building. 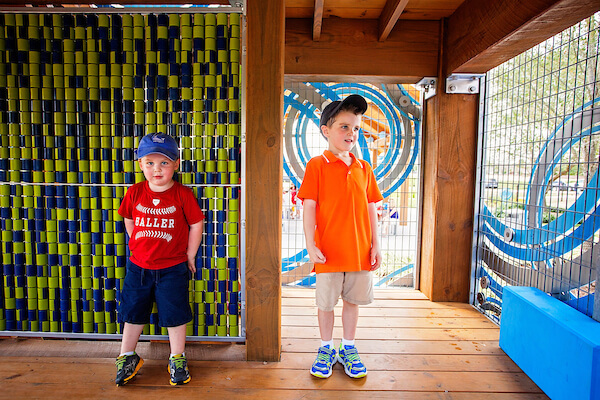 Exploration Park is open during daylight hours, with the pavilion available on a first come, first served basis. 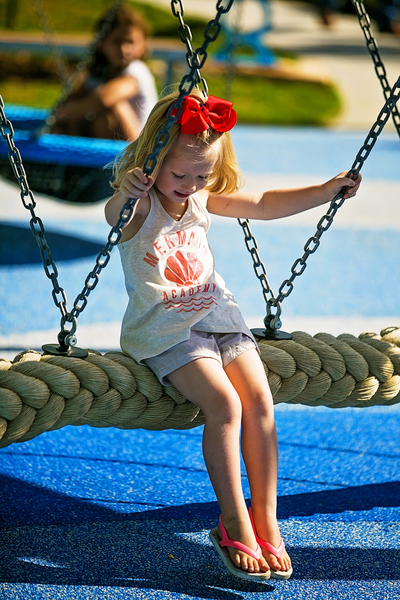 Reservations are not accepted for private use of the park or pavilion.